Our next book is a recommendation from the local Loudoun County Virginia Public Library. I went with this recommendation in part due to the important topics-big and small-included in this acclaimed novel. From the role of science in a faith-based community to the evolution of one woman’s identity through her life, Kingsolver takes on world-changing issues and life-changing experiences with the same brave gusto. These were the reasons that I picked up the novel, but the the luxurious language Kingsolver uses to portray such poignant themes was the reason I kept hanging onto it. “In the lyrical language of her native Appalachia,” Kingsolver brings the sublime to the most mundane and everyday task. We’ll be discussing this book on March 12th. Pick up your copy today and join us here to bring the sublime to our discussion. 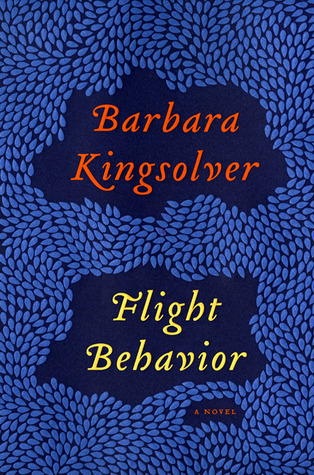 Read the New York Times Sunday Book Review of Barbara Kingsolver’s Flight Behavior here. This entry was posted in Fiction and tagged Barbara Kingsolver, Flight Behavior. Bookmark the permalink. ← Calling All Book Clubs!